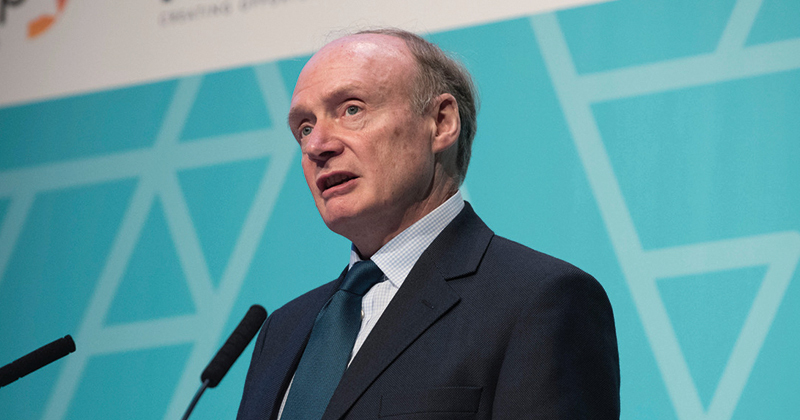 The Institute for Apprenticeships is the “biggest threat” to quality in apprenticeships, the boss of the Association of Employment and Learning Providers has warned – in the latest war of words between the two organisations. 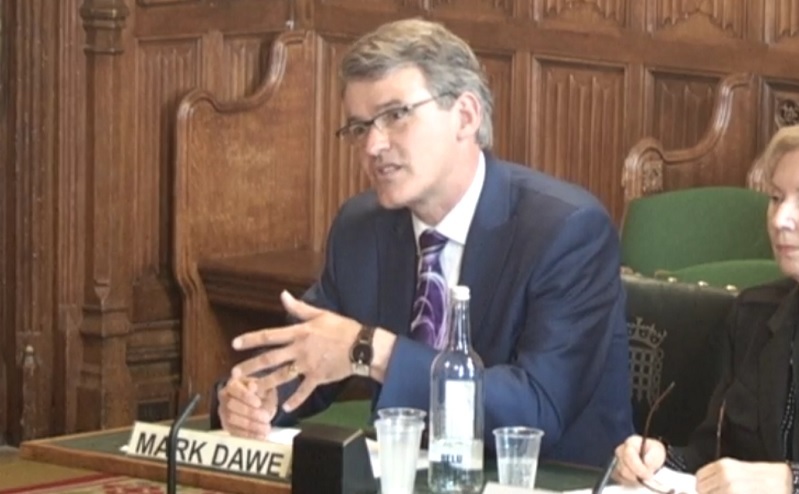 Mark Dawe’s (pictured above) comment came this morning during an education select committee hearing, in which he claimed the institute is refusing to listen either to Ofsted and Ofqual. He described the way the IfA is currently running apprenticeships as a “car crash” and insisted that urgent change is needed. His attack comes 11 days after the IfA’s boss Sir Gerry Berragan accused the AELP of being “inflammatory” for repeatedly raising concerns over apprenticeships which don’t have end-point assessment organisations in place. “The biggest threat to quality is the IfA at the moment,” Mr Dawe said this morning. “They are refusing to listen to Ofsted who say the 20-per-cent off-the-job rule is not a quality measure, [their view] is being ignored. He claimed the AELP is starting to hear what some of its EPA members are calling “horror stories” around the EQA processes they are being asked to do. “Basically EQA is meant to review the quality of EPAs but it sounds like they [the IfA] are trying to redo the EPA themselves again given the volume of work they are putting in and this has been multiplied 40 times over in the EQA,” he explained. “We now have reports of employers saying ‘what on earth is going on? We have one EQA organisation demanding one thing and another demanding another’. He told the committee that about five months ago his association presented a review of the 120 apprenticeship standards available, but that since then “there’s been silence from the IfA”. He added that replacing frameworks has been “too slow” and there are employers who want to start delivering apprenticeships but are being prevented because of this. “The faster better approach is very welcomed but we’re not seeing it,” Mr Dawe said. At FE Week’s Annual Apprenticeships Conference last month, IfA boss Sir Gerry said that 99.1 per cent of apprentices due to undertake EPA in the next 12 months were on standards with at least one organisation in place to deliver the final exams – meaning 0.9 per cent of apprentices were not. At an event in London to mark the first anniversary of the apprenticeship levy on April 6, Paul Warner, AELP’s director of research and development, asked why apprentices had been allowed to start on standards with no EPA organisations in place. In response, Sir Gerry was reported to have said that neither the apprentices nor their employers considered it a problem, and that AELP was “being inflammatory in consistently raising the issue”. Speaking to FE Week after the event, Mr Warner said that – far from being inflammatory – the issue was “a point of considerable importance, not least to the apprentices concerned”. The IfA has been approached for comment. The IfA needs to get a grip. They’re not covering themselves in glory and they don’t help themselves by trying to divert attention away from their own shortcomings. Currently, they’re neither fit for purpose nor appropriately professional in their dealings with AELP etc. they need to spend les time on wars of words and more on doing the job they’re charged to do. Mark Dawe’s has done us all a favour – his message needed to be said. I am sure that there are many of you who also have deep concerns about how the IfA continue to damage the Apprenticeship brand and the whole sector to an extent that is, I believe, unprecedented in my 37 years in this sector. Anyone who as been involved in new Standards development, will likely have experienced repeated submissions to IfA, rejected over inconsistent, contradictory or inaccurate feedback, often delivered very late (sometimes by months) by seemingly inexpert ‘expert panels’ or by civil servants. I support Mark in that the government should be concerned that IfA is still ‘making it up, as they go along’, this far into the process. Whatever happened to the Richard Review? Surely, employers – not civil servants – are supposed to be in the ‘driving seat’! Does the IfA completely mistrust employer groups’ ability to define valid sector standards and end-point assessment? I fear that, even when approved, a realistic funding banding will not be allocated, with a potentially negative impact on the quality of apprenticeship delivery. Large employers have accepted the Levy, which often involves significant sums of money, with good grace, yet many are still waiting for the Standards that will enable them to grow and strengthen their business in our post-Brexit economy. Having watched this Parlimentary session, which was littered with outrageous statistics, was more like a sales pitch than an evidence session. Apprenticeships are in big trouble because they are at the end point of an invalid training system which has been allowed to run out of control – UKFE is progressing less than 10% of students into paid employment (excludes self employment) and only 8% into apprenticeships – the technical offer in FE is over!